Believe it or not, nearly one-fourth of all credit cards issued today come with zero-interest for a promotional period. Ranging from 3 months to 2 years, credit card companies are offering longer no-interest periods to snag new customers interested in minimizing the cost of credit card debt. 1.Good income – The higher your income, the more likely you are to be accepted for the best credit card deals. Credit card companies want big spenders, and those who earn the most tend to spend the most. 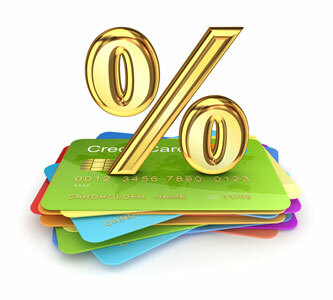 2.Excellent credit – Credit cards with the best perks usually have customers with the highest credit scores. A credit score of 720 or better would be ideal, as a high credit score will open up many of the best rewards and zero-interest cards for qualified applicants. 3.History – Having history with credit card use is a great way to get zero-interest deals. Credit card companies can see your credit score before sending you offers, and the more history you have, the more likely you are to be attracted with money saving promotions like a zero interest credit card. Always keep in mind that no credit card is zero-interest forever. In fact, after the promotional period, your interest rates may rise to 15% or more per year. Currently, the average credit card charges interest of 12.34% per year – a significant amount to pay considering that interest rates are now at record lows. If used responsibly, a zero-interest credit card is a great way to save money, get rewards, and finance expenditures for free. If used carelessly, a zero-interest card may leave you in a world of hurt when the interest rate resets from zero to the normal purchasing APR.